Tuesday Night MTB Ride - Easy pace, ride the trails at Green Lakes. Meet at the Parking Lot at the corner of Green Lakes Rd. and Minoa Rd. at 5:30pm for about 1.5 hours of riding. Thursday Night Fun Ride - Meet at the shop at 8pm for an 8:30pm roll out. Anywhere from 10-25 miles at a social, casual pace, no drop, or roughly 2 hours of riding. Some Summer nights will garner 75 riders! Discover new and old parts of the city and stick around for post-ride refreshments at a local watering hole. Don't forget your bike lights! Friday Night MTB Ride - Fast pace, meet at the shop at 6pm and bike over to the Quarry for about 2 hours of riding. Bring helmet/bike lights, as often it's easy to get "quarried" away on the rocky, aggressive trails until after the sun sets! Check out our Ride Calendar for more! The Erie Canal Trail - Great interactive map to plan a trip all the way from Buffalo to Albany! There are several great local stretches along the flat, partially paved towpath. Perfect for building confidence on bike, or for taking the kids or dog along for some exercise. Closest access from the City is at Butternut Creek Aqueduct. Venture Went to the Camillus Erie Canal Park and visit with the shop cat at the olde general store! Onondaga Lake Parkway / Onondaga Lake Western Extension - Another mostly flat, mostly paved, family-friendly multi-use trail that partially circumvents Onondaga Lake (roughly 22 miles) through Syracuse city and Liverpool. Maintained very well in Winter if you're looking for a snow-free path. Inner Harbor Creekwalk - Well paved and marked multi-use 2.6 mile trail completely in the city, connecting Armory Square downtown to Onondaga Lake. Great for a lazy day putz around, complete with multiple coffee shop pitstops along the way. You can even take the Creekwalk to Destiny USA, if a shopping spree or movie marathon is on the agenda. Also maintained very well in Winter, but during rainy seasons, portions of the trail in Franklin Square may be closed due to flooding. Green Lakes State Park - The main park is a family favorite, with a swimming area, playground, and stroller-friendly trails circling the gorgeous Green Lake and Round Lake in the Fayetteville-Manlius suburb. Beginner-friendly doubletrack MTB trails abound in the rest of the park—join us for our Monday shop ride and explore! Great Bear Recreational Area - A great mix of singletrack, doubletrack, and fire roads located between Fulton and Phoenix—perfect for tuning your MTB skills. Well-marked 5k and 10k trail running loops will even accommodate a single-wide jogging stroller. Bring a fishing pole, a picnic, and even the dog—the area is fenced and off-leash friendly. Skytop Rock Quarry - Technically private property (so we didn't tell you to go there! ), with rocky, aggressive trails that connect to Clarks Reservation in Jamesville (which technically does not allow MTB). Park at the church on Schoolhouse Rd. or access the trail through concrete barriers by Syracuse Research Facility at the top of Syracuse University South Campus. Split Rock Quarry - Another one of those "technically private property, so we didn't tell you to go there" spots. A mix of wooded singletrack, dirt bike trails, and old quarry detritus. Beware of "Posted" signs, park in one of the neighborhood streets with designated on-street parking, and ride to the trail. Look for access at concrete road blocks at the end of Ottman Rd. (off Whedon Rd.) in Camillus. Bear Swamp State Forest - A mix of slightly overgrown XC trails which you'll surely get a workout on, and ATV/horse trails with beautiful scenery. Located in Moravia, at the southern tip of Skaneateles Lake. Highland Forest County Park - Home of our annual cyclocross race, Syracross! Over 20 miles of maintained MTB trails located in Fabius. Great for XC skiing in Winter too, with rentals available at the Lodge. Morgan Hill State Forest - Located on the Onondaga-Cortland County borders near Labrador Hollow, this area has many developing trails. Singletrack, power lines, and even sections for downhill/ freeride. Shindagin Hollow State Forest - Lots of cool features and elevation changes—definitely worth the drive to the Ithaca area for more advanced mountain bikers. Mello Velo Racing - Join our shop team! Onondaga Cycling Club - Multiple weekly rides for cyclists of all levels, and a wonderful group to ride with. If you're looking for a route, their website has an excellent ride map library with road cue sheets, which include distance and elevation. CNY D.I.R.T. - Bust out your shovels and get dirty with trail building and maintenance, plus get out and ride with a great group of people who know the local trails! Syracuse University Cycling Club - During the University semester, you might be able to tag along on a training ride! 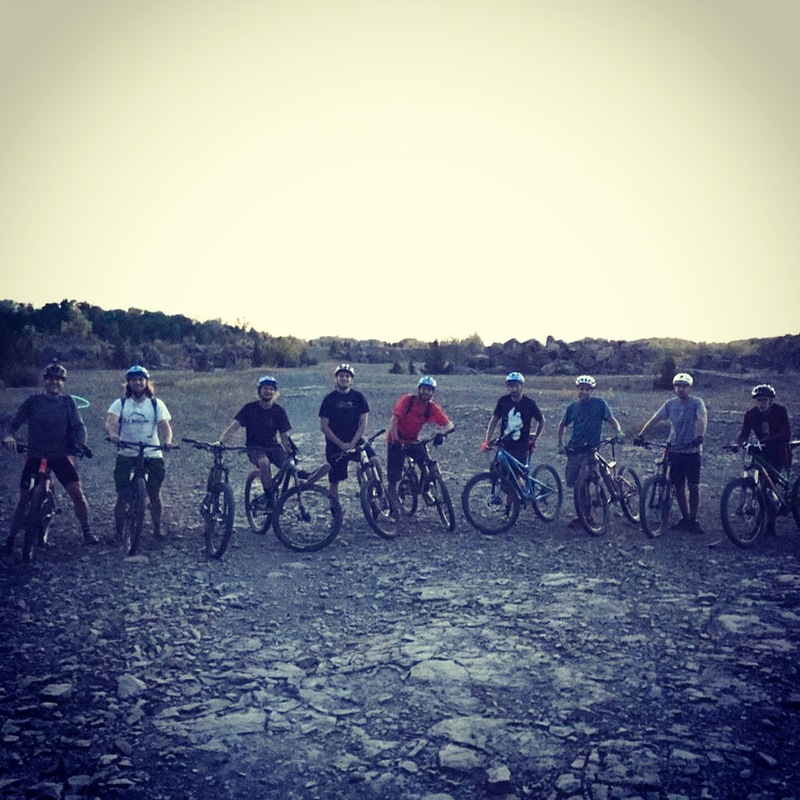 Syracuse University Outing Club - Become a member of SU Outing Club and have access to the E-Room's fleet of Kona mountain bikes. If you're an SU or ESF student, or even an Old Timer, make lifelong memories and friends by joining SUOC on their weekly outdoor trips. Who knows, you might even meet the love of your life, open a bike shop together, get married, and start a family! CNY Triathlon Club - If triathlon is your thing, meet up with other local athletes for training, racing, and beyond! BikeCNY - Get involved with bicycle advocacy in Syracuse and petition for bicycle infrastructure! Monthly meetings open to all.